A week of navigating only by keyboard shortcuts. Can it be done? Well, no. Not quite. But we do uncover some sites and apps with unexpectedly handy shortcuts. When you've got your keyboard shortcut groove going, you feel like you're a cybernetic warrior, able to will your ideas into existence at the speed of thought. You flip through tabs, mow down your inbox with a machete, summon your coworkers' attention, all without moving your hands more than an inch. You, sitting right there, are the realization of an entire generation's worth of technology hopes and dreams. Then, every so often, you come across a web application, a little pop-up box, or something else on your system that you can't quite act on, no matter how many times you hopefully press "Tab." Now you feel like you're a toddler, blindly stabbing your ineffectual fingers out into the air, hoping to communicate your wants and feelings, but only receiving strange sounds and condescending looks from your superiors. Such is the sharp vacillation that is trying to live a keyboard-only life, or at least a keyboard-whenever-possible experiment (touch-based smartphones were a notable exception). Over the course of a week, I forbade myself from reaching for a mouse or trackpad to do anything on a computer, without at least looking to see if a keyboard shortcut was available to do the same thing. I scanned endless "Help" documents, searched Google to fill in the blanks, and took blind guesses when all else failed. I learned which sites and apps were looking out for my fingers' best interest, came to pity those that got it all wrong, and discovered that some of my assumptions about our good friend QWERTY were wrong. I watch numerous times a day as colleagues take their hands from the keyboard, reach for the mouse, and either (1) click in the next field of a form and recommence typing, or (2) click 'Submit.' It'd take a lot more than $50 mil worth of research to convince me that (1) tab and (2) enter are not faster. ITworld user okyea_YahZN63SD | What's your take? On the first morning of my self-imposed pointer exile, I stumble across an old research report that casts serious doubt on whether keyboard shortcuts mouse will save a user bits of micro-time that add up to real productivity. By 1989, Apple's Human Interface Group had spent at least $50 million timing and questioning users as they moved through applications using both keyboards and mice. Their findings hit on a major point of human-computer psychology: pure timing tests consistently showed using a mouse was faster than keyboarding, but users just as consistently swore that their keyboard efforts were faster. As Bruce "Tog" Tognazzini explained, the difference lies in what's going through someone's head as they "waste" fractions of seconds either re-locating their cursor or recalling a shortcut. Finding your mouse with your hand, and the cursor with your eyes, is a lower-level cognitive function, while determining which abstract combination of keys to press toward a certain purpose requires a smidge of higher-level thought. Your mind gets lost in the higher-level key-pick process; the time it actually takes is lost in your mini-fervor. Mouse-finding, however, is so rote and boring that you're actually thinking about what's next while you're finding and moving, but you don't really tabulate that micro-productivity on the whole. Taking a cue from Google, many webapps, like Dropbox, offer a full suite of shortcuts for navigating their site without a mouse. Honestly, there were a few unconscious mouse/trackpad uses on the first Monday, but by Tuesday, I’m really committed, and very familiar with the Tab key. It’s the universal navigation tool across apps and web sites, but all you can do is hope that it lands you on the right button in a minimum of taps. Apps and web sites that have any consideration for their users start you in an obvious point of focus: a search box, a list of contacts, a primary control box. Some tools are really nice and simply pick up your typing and automatically search out what you're typing in. You'll find sites and apps with unexpectedly handy shortcuts, like Facebook. If you like trying out relatively new software and services, you'll suffer for your devotion, as there are often no shortcuts, and the order in which one tabs through elements can seem random, or straight-up counter-intuitive (looking at you, Google Music). If you're using a Flash-based webapp, you're effectively surrendering your keyboard. Even when there's no Flash, as with addictive group music site Turntable.fm, you're using your mouse exclusively to pick your songs and give your friends props. It’s a weird thing, being mad at an amazing free music service for a functionality that must be far, far down on their list. But nobody said going cold turkey would be easy. A few days in, I found that both Windows 7 and Mac OS X Snow Leopard (10.6) do fairly well at providing keyboard operability, with deeper offerings given if you head into the accessibility settings. I particularly like how Windows 7's dock icons correspond with hitting the Windows key and a number (Win+1 for the first docked app/item, Win+2 for the second, etc.) Mac is no slouch at shortcuts, either, but I particularly felt at home with a Windows/Chrome combination -- Win+number for a certain app, Ctrl+number for a certain tab. What happens once you're in that app or tab depends on lots of factors, but at least you can get there. On the web front, Google’s webapps stand out as having a semi-consistent shortcut scheme, one adopted by many other sites -- including a Google search alternative, DuckDuckGo, that allows for very fast, intuitive navigation. Skype starts users off in a search bar, automatically shortens lists based on typing, and offers shortcuts for every function -- A++, would key-type again. When I’m by myself, I set the parameters of how I’ll work and fiddle with things, and I can subtly choose to avoid tasks that might not fit into this week-long experiment. When you’re working with others, or working to keep your spouse happy, it’s a different thing. Navigating Google Docs while an editor is leaving comments in real time is, shall we say, tricky (especially since you can’t use Google’s “?” shortcut to pull up a helpful list of commands). And when the wife asks that I move around some videos so that she can stream television episodes to her iPad while working out -- let’s just say I didn’t come out looking like I was a capable man with immense digital powers. Holding Alt is a classic strategy for discovering keyboard shortcuts. 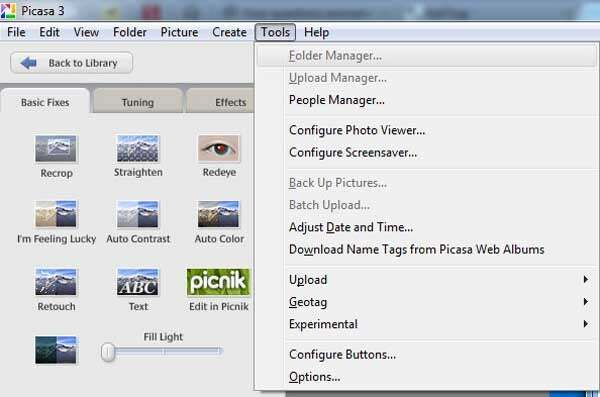 Some functions, however, still require a mouse, or a lot of key presses, as seen in photo editing tool Picasa. After a week-long campaign to try and never lift my fingers, I felt like I’d come to understand those friends of mine that can’t help but tell you how much they love their Apple products for their touch-based gestures. I was impressed at how much I could get done with just the keyboard, and how, despite the opposing research, I felt a connection between my conscious, working brain and my hands. I was also annoyed at the quirks I found at the margins, and a bit dismayed at the seeming trend toward modern, minimalist web sites--with almost not keyboard functionality. There are programmers that can do all their work in a terminal, or an editor like Vim, and never need for a cursor. For the rest of us, cutting-edge webapps and software, and our personal mixes of productivity tools, leaves us halfway between two distinct systems of screen navigation. Truly, though, this experiment leaves me hoping that voice recognition software continues to develop and improve at a rapid clip, as it’s amenable to both quick keyboard taps and motion gestures. Here’s hoping that all developers and administrators carry the torch for keyboard navigation into the future. That way, those of us with a mind for typing can spend more time smiting our adversaries as Cybernetic Warriors, and less time wearing out our Tab key with our toddler-like tantrums. Editor's note: This part of a series of "I'll try it" articles, in which brave volunteers agree to take a 7-day challenge to try something that puts them out of their comfort zone. What you'll read in these pages is a day-by-day accounting of their successes, failures, frustrations, and flashes of insight. If you have a challenge for one of our guinea pigs (by which i mean "brave volunteers") or want to take the challenge yourself, let us know in the comments.